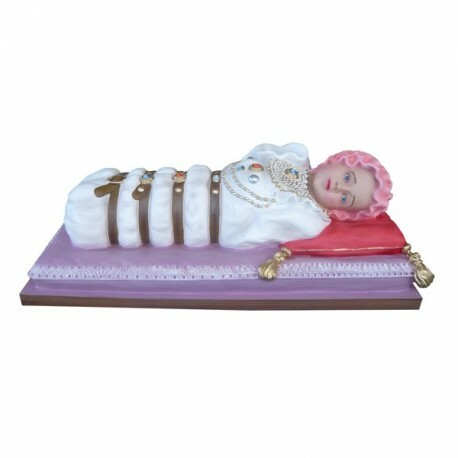 Statue of Baby Mary 80 cm. Statue of the Baby Mary, of fiberglass, 80 cm, handmade in Italy. Baby Mary was born in Nazareth from Ann and Joaquine. She is commemorated on the 8 of September. 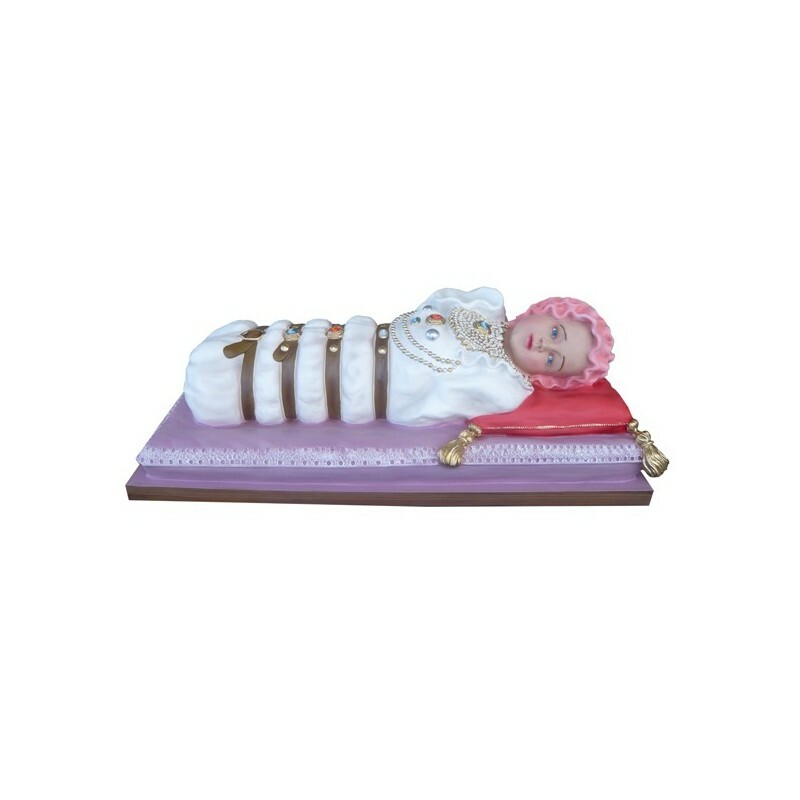 The origins of her devotion hail from 1720-1730, when a Franciscan nun from Todi created a wax infant and wore it with some bands. One of them was given to the Capuchin Sisters of Milan who spread her devotion. She became very popular near Milan. They were built numerous congregations of nuns who were called “of Baby Mary”. The Virgin is the protector of many cities, expecially in Sicily. She is represented as an infant with a small bonnet, laid down on a pillow.